Players Poker Championship (PPC) co-founder Bryan Oulton has filed for Chapter 7 bankruptcy protection in the US Bankruptcy Court for the Southern District of Florida, according to court documents obtained by Flushdraw. According to Oulton’s petition, which was filed on April 9th, 2017 in a Broward County courtroom, he owes 891,701.41 to a pool of nearly 200 creditors. Oulton claims to have 414,678.03 in assets, leaving him nearly half a million dollars underwater in terms of meeting his liabilities. $338,000, or about 80% of Oulton’s assets, is the assigned value of his home in Lighthouse Bay, Florida. Over $50,000 of the remainder is in the form of annuities. Oulton also claims to have no source of income at the present time. 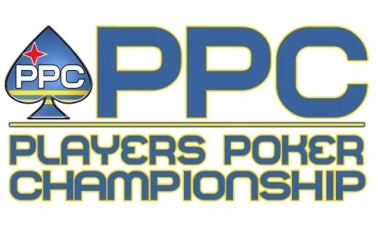 Oulton’s primary source of income in recent years, the PPC, has been hit by a major lawsuit by players who made the final table at last year’s PPC Aruba World Championship event. Those non-payments came after alleged attempts by third-party PPC investors to make the players settle for less than their total amount “officially” won, or to agree to an indefinite delay in being pay. At the same time, multiple unofficial reports emerged that the PPC’s operators had long been using a “rob Peter to pay Paul” approach, using entry fees generated at a given event to pay off the delayed winnings still owed to winners of earlier PPC tourneys. These slow-pay and no-pay allegations, never denied by the tour’s owners, quickly led to the virtual collapse of the PPC. 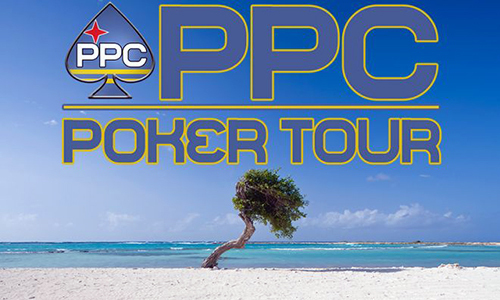 Several casinos that formerly partnered with the PPC in running poker events have either severed or informally suspended their working relationships with the tour. As a result, the future of the PPC is very much in jeopardy, if not already defunct. The largest debt amid Oulton’s Chapter 7 filing appears to be owed to the Small Business Owners of America (SBOOA), in the amount of $259,600. This entry infers an assumption that the PPC was initially funded through such a small-business loan, but that has yet to be confirmed. The plaintiff poker players who have filed suit against Oulton, Swartzbaugh, the PPC and related business entities, and (in separate cases), two casinos who partnered with the PPC, are all listed among the unsecured creditor in the filing. Those casinos are Maryland’s Maryland Live! venue and Florida’s Tampa Downs, both of whom are alleged to have worked closely with the PPC, including at the 2016 PPC Aruba World Championship. Five of that event’s final-table players are plaintiffs against Oulton, the PPC, and the other defendants, and are listed in Oulton’s bankruptcy filing. They are Stephen Deutsch (listed as owed $128,987 in Oulton’s filing), Joan Sandoval ($11,390), Michael Lerner ($43,426), James Beadnell (85,906) and John Ott ($22,085). Deutsch’s winnings are the largest single creditor amount listed in Oulton’s filing that is due to a poker player, and it’s the second largest, overall, listed within the filing. Two other 2016 PPC Aruba final-table finishers who are not plaintiffs in the twin actions against the PPC are also listed among Oulton’s creditors. Those are third-place finisher Dorian Alejandro Rios Pavon (listed as “Dorian Ross” in Oulton’s filing, for $67,664, and seventh-place finisher Steve Karp, for $16,042. Perhaps the most famous player listed among Oulton’s creditors is poker-tourney veteran Alex Outhred, who is owed $3,208. Another creditor is OnlinePokerReport (OPR) owner Chris Grove, for a nominal $267. The list of creditors also includes dozens of entries for players who paid in advance for seats in satellite tourneys that have been canceled after the fact. Most of those entries are for $300, but some of these unrefunded seats are for less than $100 or significantly more than the typical $300. Also among the creditor entries are what appear to be a cluster of eight to 12 third-party investors, owed between $4,000 and $20,000 each, for a total of roughly $100,000. Some of these investor-creditors may have been part of the effort to induce the unpaid PPC Aruba final-table players to forego or accept reduced payments on their winnings.